All students living in the residence halls are required to commit to a meal plan. Students wishing to change their meal plan may request a change during the first week of classes each semester. The meal plan change option will be available on students’ MyCampus2 Portal the Sunday before classes start, and will be open for one week. No changes can be made after this time. Flex dollars are included with the board plan and can be used for additional meals at any of the Claremont Colleges dining halls and wide array of eateries (Grove House, Pit Stop, Shakedown, etc.). Additional flex dollars cannot be purchased. All students who live on campus are required to be on the 16 or 12 board plan unless the student has a specific medical condition that precludes them from being on a board plan. Students applying for off board status due to a medical condition must provide documentation from their personal physician stating why they are unable to be on the meal plan and a list of foods that they cannot eat. 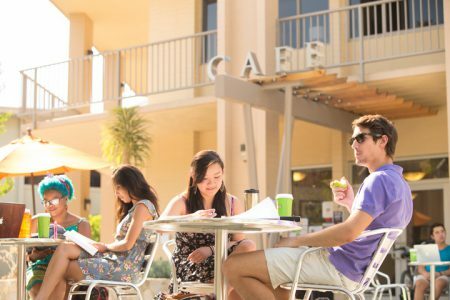 An appointment must then be scheduled with the General Manager of Bon Appétit at 909-607-2788, who will evaluate if Dining Services can formulate a meal plan that meets the student’s dietary needs. If they are unable to meet the student’s dietary needs, the General Manager will sign the off board application. The student must then submit the application to the Residence Life Office. All applications and documentation will be reviewed by Pitzer Academic Support Services. All students are financially responsible for board plan costs until notified in writing that there has been a change of status. If you would like to apply for Off-Board status, please send your request to housing@pitzer.edu. Fall Break and Thanksgiving Break – The residence halls remain open and the meal plans remain active. The hours and location of the available dining services WILL change and will be emailed to the community before the break. Winter Break – The residence halls close, the meal plans are NOT active, and most dining halls close as well. Spring Break – The residence halls remain open, the meal plans are NOT active, and the hours/location of the available dining services WILL change and will be emailed to the community before the break. Summer – Limited on-campus housing is available for students taking summer classes, working on-campus, or doing research with a faculty member (who will sponsor them). Meal plans are NOT available, but Claremont Cash is still an option. Dining Halls have limited hours and the schedules will vary. McConnell Bistro, located in McConnell Center, is the main dining hall on campus and serves breakfast, lunch and dinner on weekdays and brunch and dinner on weekends. The Grove House is a craftsman-style home that serves as a restaurant and student center. The Grove House kitchen serves delicious homemade dishes made from locally grown food and also caters events. The Pit-Stop Café is located in Bernard Hall facing the Scott Courtyard. The café serves coffee, specialty drinks, gourmet sandwiches, wraps and salads. 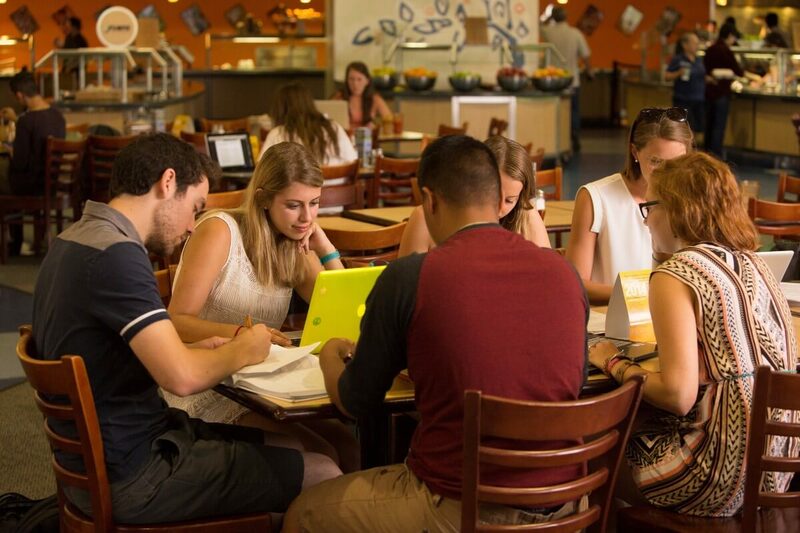 The Shakedown Cafe is a student-run restaurant, located on the second floor of the Gold Student Center (GSC).